October 17, 2012 /3BL Media/ - In today’s economy, convincing people to part with an extra dollar or two on behalf of a worthy cause isn’t as simple as it used to be. With budgets tightening and a renewed focus on value, many consumers want to know “what’s in it for me?” before doling out their money or time. 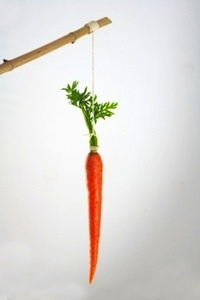 Depending on the goal and focus of your cause marketing campaign, “soft” social incentives may be enough to entice purchase or participation, or “hard” tangible incentives may be necessary to maximize engagement of your target audience. Regardless of the route, incorporating relevant incentives into your cause marketing promotions can help to increase reach and sales. Join MSLGROUP’s Anne Erhard as she discloses the keys to crafting successful cause marketing campaigns in this hour-long session focused on incentivizing consumer engagement.